Arroz con leche, or literally rice with milk, is a desert that is enjoyed in parts of South America, especially Peru, as well as Europe. It is an exotic yet simple desert that can is easy to make. 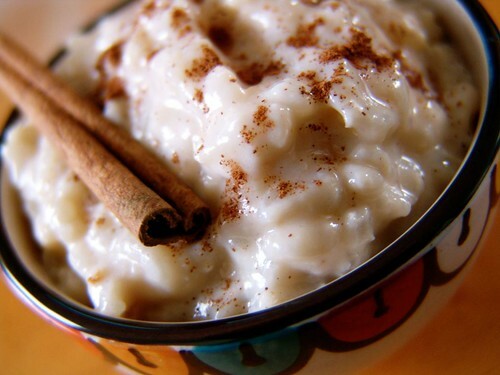 The arroz con leche can be sweetened and flavoured to taste and it is an easy desert that can be served when entertaining either for a small dinner party or just to offer a little taste of something different for your own family. This desert is also quite filling and is best eaten with a meal that does not already include rice. All you need are two cups of uncooked white rice, three pints of cow’s milk, condensed milk, powdered cinnamon, brown sugar, a saucepan, four cinnamon sticks, and four small desert bowls or desert glasses. Stir in condensed milk and sugar to sweeten to taste. Add powdered cinnamon and place small amounts of mixture into glasses. Chill in a cool refrigerator until ready. Cinnamon sticks can be added to the desert bowls before serving.